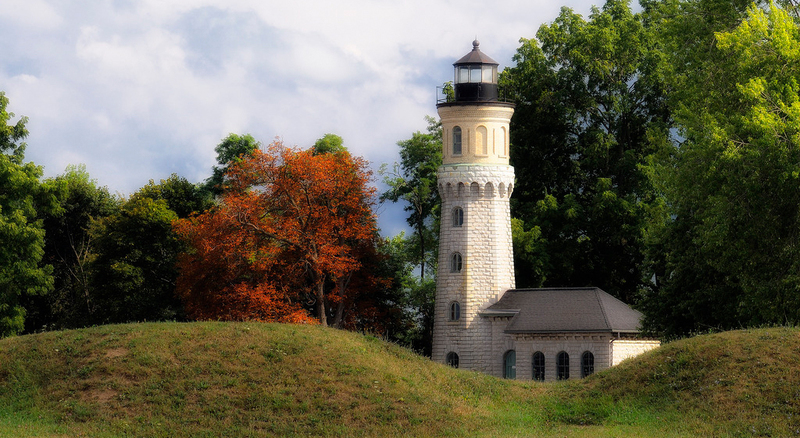 Built in 1872, this beautiful lighthouse is managed by the Old Fort Niagara Association, which also manages and maintains Old Fort Niagara. There are just a couple of webcams located in lighthouses around the Great Lakes, but this is the only one with hi-def live streaming. The Fort has a storied naval past. You can follow today's marine industry by scrolling below the Fort's webcam and click on the ships on the map if you see one pass by the Fort. When you scroll over and click on any ship, it will tell you all the information on that particular vessel. Give it a try. Learn more about our lighthouse here. Besides a live view of a part of the parade ground, our famed 'French Castle' and 'South Redoubt,' you can see some partial views of our many annual events in realtime that happen on the grounds of Old Fort Niagara throughout the year. The best views and incredible experiences can only be had if you come to visit us in person. In the background, you can also see live views of water conditions along the southern shores of Lake Ontario. During our summer season, you'll also see some of the absolutely spectacular sunsets that are presented almost daily at Old Fort Niagara. just click the ship on the map below the webcam. 'Like' and 'Follow' the Old Fort Niagara's Facebook page. The webcam is provided by our friends at Niagara Falls Live. Scroll down for ship maritime traffic and wind predictions in real-time.